MONTREAL, April 16, 2019 /CNW Telbec/ - Cominar is proud to unveil the identity of its new Rockland Ambassadors: Maripier Morin & Brandon Prust. They both will be the new faces of the upcoming campaigns at Rockland. Bearers of a brilliant public image, Maripier Morin and Brandon Prust are a source of inspiration for all Canadians through their talent, elegance and their authentic personalities. In all aspects, they are a true reflection of the best Montreal has to offer. "I am extremely happy to partner with Rockland! In addition to being a beacon for Montreal's fashion, always at the forefront of style and elegance's newest trends, Rockland is now also an outstanding foodie destination! Everything I love – under one roof," explains Maripier Morin. "Maripier and Brandon are true multidisciplinary personalities – they are a source of inspiration and a reflection of Rockland's image. Their numerous talents and passions confer a strong influence on the media landscape. They embody a model of excellence from which every one of us can get a little inspiration to enhance our own lifestyle. We dream of seeing ourselves in their achievements, we are curious to know their favourite fashion, cultural and gourmet finds, we try to re-create Maripier's best looks… In a nutshell, they are a perfect reflection of the features conveyed at Rockland!" explains Caroline Lacroix, Vice-President, Communication & Marketing at Cominar. Maripier Morin continues her meteoric ascension in the Canadian media landscape. Her rich and diversified career is catching the interest of a growing audience, now more than ever. It's through her genuine spontaneity, her dynamic energy and her impeccable style that Maripier Morin has quickly risen to an enviable star status in the artistic community. As she nears her thirties, Maripier can be proud to have been at the helm of several variety shows on renowned television networks, which enabled her to hone her natural hosting talents. Recently, she has made her mark in the children's media landscape in "Code F", and by playing a coaching role for young participants in the popular show "La Voix Junior". Recently married to professional hockey player Brandon Prust, Maripier was chosen to add colour to the group of women starring on Hockey Wives, a reality TV show on W Network. It seems that obstacles are falling away one by one through sheer determination, which aligns happily with her ambition of becoming a renowned pan-Canadian host on an English-speaking network. In the fall of 2017, she strengthened her influence by creating her own web platform at maripiermorin.com, where she can express herself freely and produce her own shows. People like Maripier because she's relatable and down-to-earth; her frank, genuine sense of humour makes her that much more endearing. She displays a true passion for music, cinema and the arts in general. She is a true "woman of the world"! In addition, Maripier started her acting career by starring in the most recent movie by Oscar-winner director Denys Arcand, where she had the leading role. Maripier is undoubtedly one of Quebec's biggest rising stars, whose promising future will be most interesting to follow! A former left winger, Brandon Prust played for the National Hockey League for twelve years, from 2005 to 2017, including for the Calgary Flames, the New York Rangers and the Montreal Canadiens. It was during his years with the Montreal Canadiens that Brandon became one of Montreal's favourite players. Through his marriage to Maripier Morin, one of Quebec's prominent television personalities, Brandon has always been very active in the media landscape, joining several television projects. 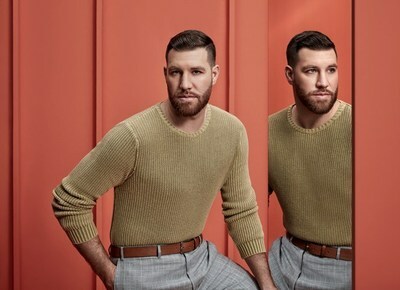 For three seasons, he played alongside his fiancée in Hockey Wives, a docu-series that follows the life of a group of wives and girlfriends of professional hockey players. Since that time, he wed Maripier… twice – once in July 2017 in London, Ontario; and a second time, in August 2018, in Pohénégamook, Quebec. For both these events, Brandon starred, alongside his wife, in the "Our first wedding" and "Our second wedding" web series broadcast exclusively on Maripier's online platform, maripiermorin.com. Brandon also made a noticeable cameo in Denys Arcand's film "The Fall of the American Empire". The now-retired hockey player is still passionate about his sport; in 2017, Brandon became coach for the London Knights, the junior hockey team in his hometown of London, Ontario. A year later, he announced that he was starting a new career with Navigator Financial, a financial management consulting firm that supports top performers in business and sports. Rockland is a property owned by Cominar, which also oversees its management. One of Montreal's best urban inspiration centres, Rockland includes close to 160 boutiques including many high-end fashion brands such as Marie Saint Pierre, Judith & Charles, Michael Kors, Stuart Weitzman, Massimo Dutti and, exclusively in Canada, Karen Millen. A source of harmonious contrasts between contemporary design and the use of noble materials, Rockland benefits from an exceptional reputation and an outstanding location – providing an elegant, luminous and highly enjoyable shopping environment. Rockland is also a true leader in sustainable management: it holds a BOMA BEST Platinum (level 4) certification in 2018 and has been certified by ICI ON RECYCLE! Performance level 3, Gold grade. Cominar is one of the largest diversified real estate investment trusts in Canada and the largest commercial property owner and manager in Quebec. It owns a portfolio of over 415 high-quality properties in the office, commercial and industrial sectors. Cominar's real estate portfolio adds up to 37.5 million square feet located in Montreal, Quebec City and Ottawa. Cominar strives to maximize the value of its shares through the proactive management of its property portfolio.